IRAs Inherited From Someone Other Than Spouse: Exempt in Bankruptcy? IRAs Inherited From Someone Other Than A Spouse – Are They Exempt in Bankruptcy? Home/Retweetable/IRAs Inherited From Someone Other Than A Spouse – Are They Exempt in Bankruptcy? Courts have struggled with the issue of whether Individual Retirement Accounts (IRAs) that are inherited from someone other than a spouse qualify for exemption from a debtor’s bankruptcy estate under the Bankruptcy Code. When a debtor files for bankruptcy, all assets and interests held by the debtor become a part of debtor’s the bankruptcy estate. 11 U.S.C. § 541(a)(1). Some assets are protected from creditors, or exempt from the bankruptcy estate, to help the debtor make a fresh start. 11 U.S.C. § 522(b)(1). Retirement funds are one of those assets. 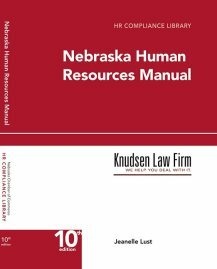 Both Nebraska and federal law provide an exemption for “retirement funds to the extent that those funds are in a fund or account that is exempt from taxation” under the Internal Revenue Code. 11 U.S.C. § 522(d)(12), § 522(b)(3)(C). Thus, a debtor’s retirement funds that are held in an IRA are exempt so long as they are retirement funds and are held in an IRA account that that is tax-exempt under Internal Revenue Code § 408 (IRAs). The issue with inherited IRAs is that the debtor did not personally direct income into the IRA; rather, a person other than the debtor’s spouse established an IRA for their own use and died before depleting the account. The debtor inheriting the account cannot treat the account as their own or roll the funds into their own IRA but must set up a separate account and maintain it in the name of the deceased IRA owner for the benefit of the beneficiary. 26 U.S.C. § 402(c)(11)(A). This raises the question of whether funds that were originally saved for retirement by a non-spouse and inherited by the debtor are still considered “retirement funds” and exempt from the debtor’s bankruptcy. A majority of courts that have addressed the issue have determine that even though the funds are inherited by the debtor, the term “retirement funds” as used in the Bankruptcy Code applies to any account holding funds that had been originally accumulated for retirement purposes so long as they are tax-exempt under the Internal Revenue Code. The funds in an inherited IRA account do not lose their character as “retirement funds” simply because they have been inherited by a non-spouse beneficiary. As summarized by one court, 11 U.S.C. § 522(d)(12) “requires that the account should be comprised of retirement funds, but it does not specify that they must be the debtor’s retirement funds.” <em>In re Nessa</em>, 426 B.R. 312, 314 (8<sup>th</sup> B.A.P. 2010). If you have additional questions about filing for bankruptcy or would like to speak to someone about your particular situation, please contact our office and ask to speak to one of our bankruptcy attorneys.